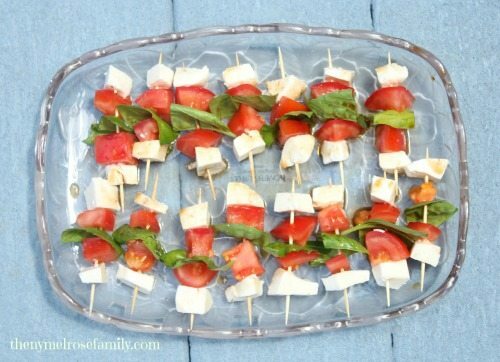 During the Summer, I’m not looking to make Appetizers that are going to heat up my entire kitchen. I want something quick and easy, but also delicious that’ll be perfect paired with my favorite bottle of Sauvignon Blanc wine. See, I love my white wine and I don’t like it too dry. 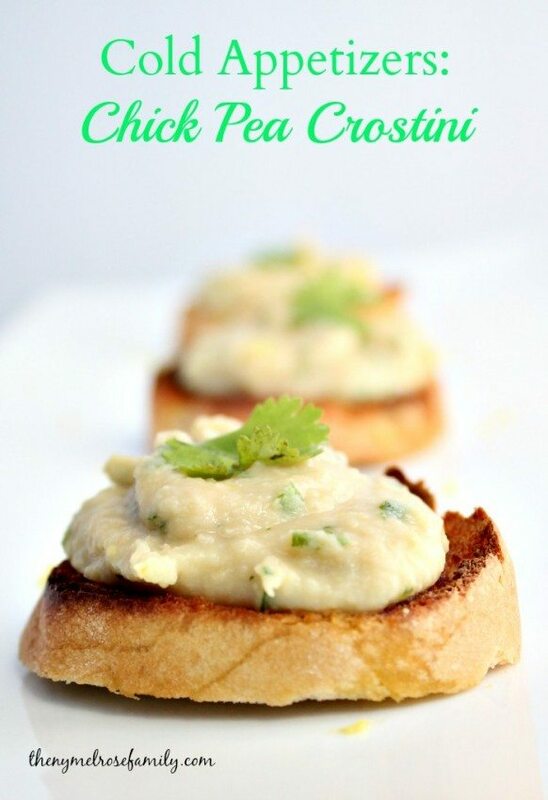 A little sweetness is perfect so I’m always looking for Cold Appetizers that can be paired with it and these Chick Pea Crostinis are the perfect match. You can even use the chick pea yogurt spread on crackers if you didn’t want to go through the trouble of toasting the bread. Getting ready for a small gathering of good friends and food is simple when you’re prepared. I’ve been known to go all out for parties, but to me there’s a difference between a party and a gathering. So, I try to keep it low key and just spend my time on the food. This way clean up is a cinch. 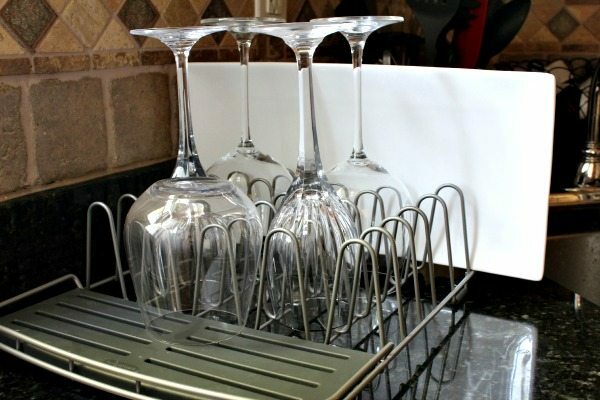 Plus, with the new Rubbermaid Dish Rack it’s easy to know that all my wine glasses will get clean as well as stay organized and with a four year old and a one year old underfoot that is always key. I love having a wine and cheese party and creating a gorgeous cheese platter of all of my favorite cheeses. Especially since I didn’t get to enjoy them last year with being pregnant. My husband always teases me that I’m like a mouse when it comes to cheese. I could eat it for breakfast, lunch and dinner. One of my newest loves is for all things crostini, which is just more or less toasted bread with a topping. 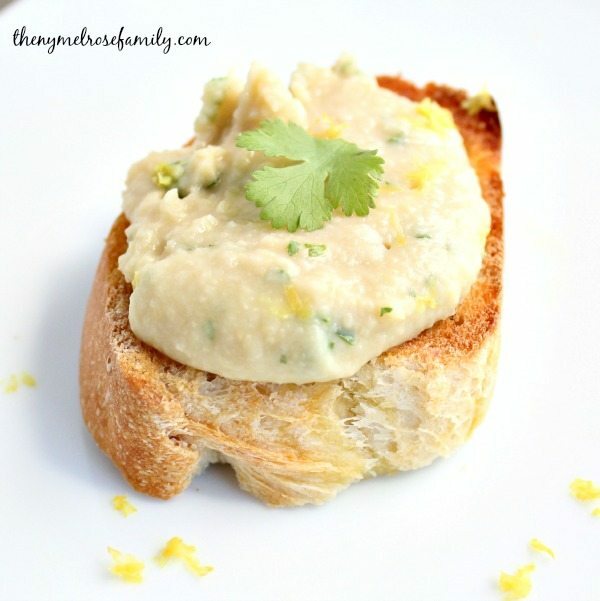 This chick pea yogurt spread with cilantro, garlic and lemon zest is bursting with Spring flavors that are sure to be a crowd pleaser. I’m never a fan of clean up after a wine and cheese party because I don’t put my wine glasses in the dishwasher. I always feel as if my glasses are precariously drying by the sink just waiting for Riley to place something on the counter to knock them over like a game of dominoes. 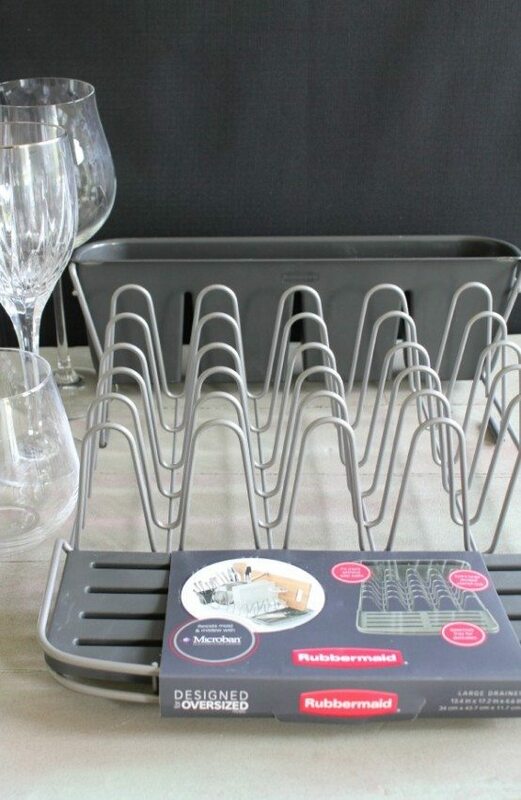 The Rubbermaid Dish Rack found at Target is the perfect way to know that expensive glasses and cookware will not get ruined. Plus, with your Target Cartwheel Card you can get 15% off the Rubbermaid Dish Rack. See how neat and safe all of my glasses are. They’re not going anywhere so instead of having to dry them and ending up with streak marks, I can let them air dry and relax. 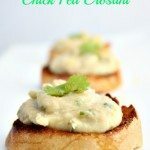 These Chick Pea Crostini are the perfect cold appetizers for a Spring or Summer wine and cheese party. Toast the sliced baguette under the broiler or in a toaster oven. In a food processor combine all of the other ingredients and pulse. Spread a dollop of the spread on the top of the toasted baguette and finish with lemon zest and a piece of cilantro.